This recipe is my ideal comfort food. Creamy, cheesy and easy to shovel into your mouth with minimal effort! 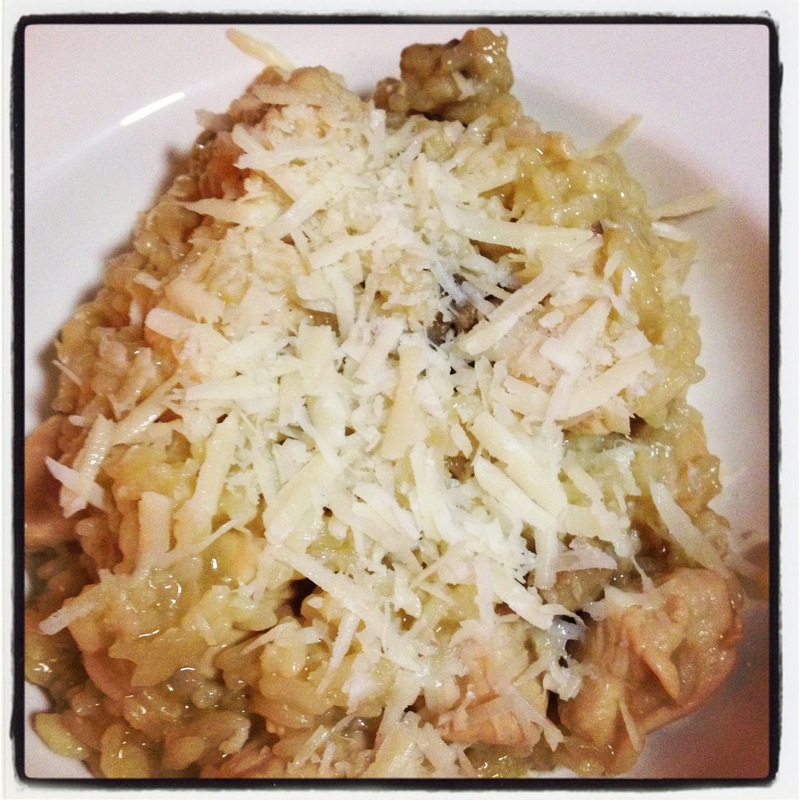 Originally I made this as a mushroom risotto but then man in my life is big on meat and therefore added in the chicken. If you want to keep it vegetarian then minus out the chicken and add in around 250g more of mushrooms. add in 2 tbsp oil, fry off onion and garlic. Once translucent add in the rice and coat with the oil. add in 2 ladles of stock and stir. Repeat until you have used half the stock mixture. Continue gradually adding in the stock until all stock has been used, rice tender and rice has absorbed all the yummy goodness! Serve in warm bowls and sprinkle with remaining cheese.